Near the Florida School for the Deaf & Blind. 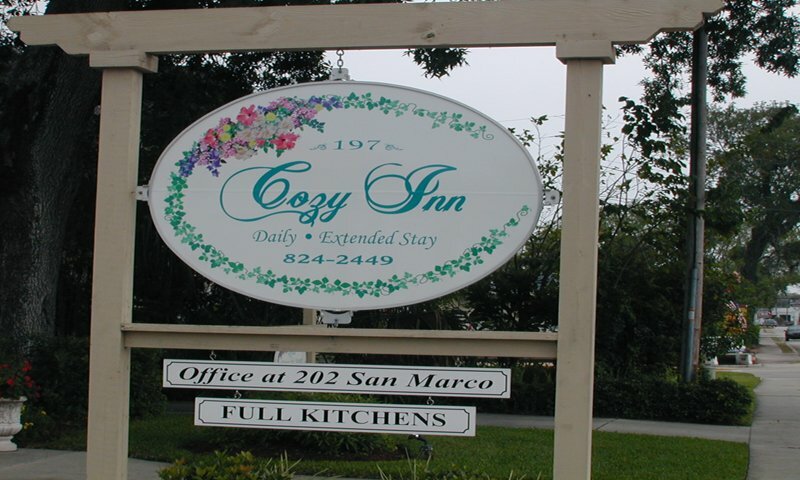 The Cozy Inn has created a unique and comfortable blend of accommodations to suit the needs of a wide variety of guests to St. Augustine. The Inn's two separate locations are situated on the east and west sides of San Marco Avenue within walking distance of nationally renowned schools and historical attractions spanning more than 300 years. This Cozy Inn's two main guest quarters, The Cozy Inn East and The Cozy Inn West, feature specialized accommodations. The Cozy Inn West houses Old Florida style motel rooms with individual parking spaces in front of each room. 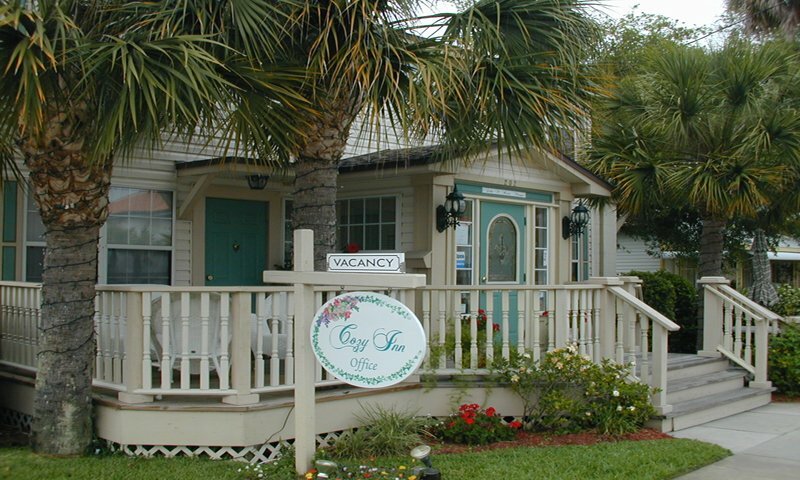 The Cozy Inn East is comprised of two buildings, including a gracious Old Southern Style House which holds four luxury suites that feature fully equipped kitchens, living rooms, bathrooms, and king-sized beds. "Townhouse Row" is the second building comprising The Cozy Inn East, and it houses five modernized units that feature the same amenities as the luxury suites. The Cozy Inn also offers the Royal Suite, a 750-square-foot unit that covers the entire top floor of The Cozy Inn East's Old Southern Style House. The well-designed living room offers a place to relax and feel at home. A private full kitchen and dining room complete the suite. Free Wi-Fi, free parking, microwave, cable TV, coffee in room. The Cozy Inn, is a suitable name for this little great hotel. My wife, our dog Oreo and I stayed at the Cozy Inn for three nights while we toured St Augustine. The location is perfect, just shy of four blocks from the trolley. The layout of our town home was perfect for us; the kitchen and living room on the first floor and the bedroom & bathroom in the second floor. The town home was clean, well kept, and the kitchen had everything needed for a stay (coffee, paper towels, plates, glasses, etc). Cindy (Manager) was extremely friendly, and eager to help us to find places to eat, and where to go, and show me on the map local attractions. Thank you Cindy! BTW, the King Fish restaurant was excellent, with fresh seafood, and reasonable prices. Which Cindy recommend we eat there, and we ended having dinner there twice.